Kelly finished the Havannah. 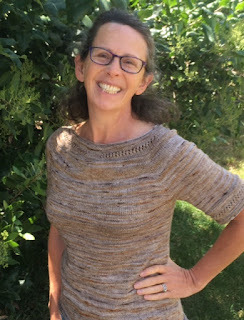 This pattern by Heidimarie Kaiser is a great casual tee. Put in the beads that are called for in the pattern, or replace them with yarn overs for a more lacy style. Marsha is on track to finish the Easy Folded Poncho in time to wear it for Black Sheep Gathering at the end of June. 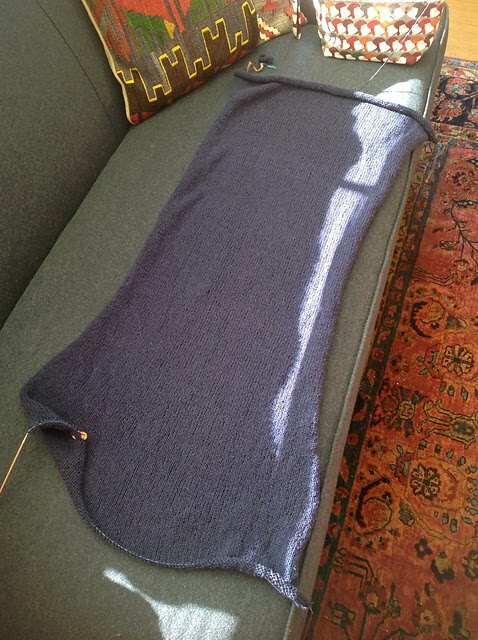 It is knit in Elsebeth Lavold Silky Wool that she found at the Goodwill. She also finished the Meret Beret but this one might be frogged because the yarn and pattern don't seem to be a good match. The two pairs of socks that have been discussed in past episodes will also need to be frogged and restarted. Neither the striped socks out of CoBaSi, nor the short socks on 9-inch circulars actually fit. Oh well. It's not sock failure, its a learning experience! and a Mohair Bias Loop from two Habu yarns in red and eggplant. 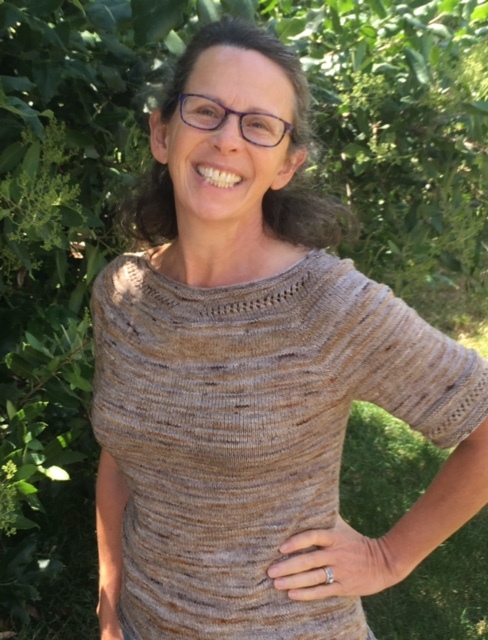 She is also thinking about the Huntertwasser Neptunia shawl, the Cancun Boxy Lace Top, the Icarus tank, the Sea Glass cardigan, and the crocheted Camelia Chameleon.